The New JV300 Series: Innovation, Flexibility, Quality. High-speed, high-quality printing is in high demand in the sign and graphics market. Mimaki, the first manufacturer of solvent-ink wide-format printers, has introduced two new wide format printers to its line of eco-solvent offerings, the JV300-130 and the JV300-160. 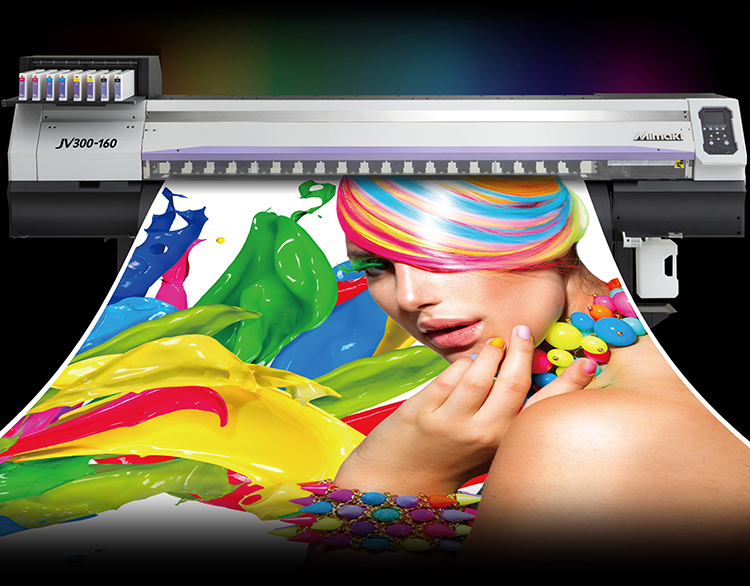 These printers deliver outstanding speed and stunning beauty, as a new global standard. Orange ink widens the color gamut and reproducibility, enabling to express food freshness and reproduce accurate corporate colors. This allows the unit to cover about 92%* of the PANTONE color chart. *Cover rate as an approximate color. Gradation properties of grayscale are enhanced by the adoption of light black ink. In addition to accurate monochrome data reproduction, the unit also improves the expression of subtle color gradations such as human skin, providing a highly accurate expression available. The JV300-130/160 family uses reliable and patented inkjet technologies that ensure high-speed printing at up to 105.9 m2/h* by combining two newly developed staggered print heads and high-performance, quick-drying SS21 ink. Two new ink colors, orange and light black, have been developed for the SS21 ink line. Orange ink achieves a higher level of color reproducibility with a wider color gamut, and light black ink presents beautiful gradation printing. 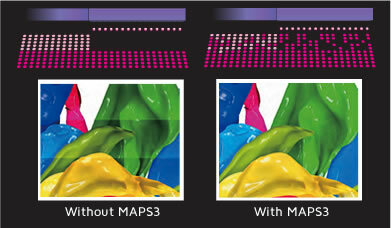 Mimaki's original MAPS2 technology, which reduces banding, has evolved further into MAPS3*. Banding is reduced by thinning out the dots and printing over it on areas where banding will be visible. The range of print capabilities can be extended with these printers by using water-based Sb53 sublimation ink for direct or transfer printing. The JV300-130/160 is compatible with solvent and water-based sublimation inks, and provides a wide range of applications including outdoor signage, posters, interior decorating and vehicle wrapping. 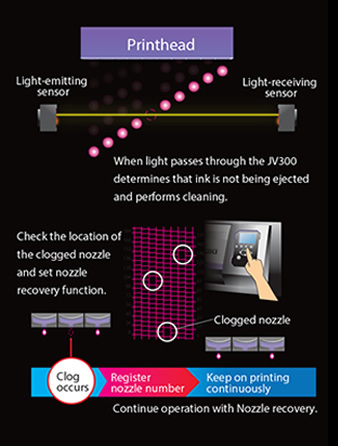 Because machine is equipped with Mimaki's original NRS*, continuous operation can be performed without affecting print speed, even while the printer is experiencing nozzle drop out. If nozzle drop out is not cleared with maintenance such as cleaning, printing without nozzle drop out is made possible by registering the nozzle that has experienced a drop out. *Optional Mimaki bulk ink system 3 (MBIS3) is required for using 2 L Ink pack. MCT (Mimaki Circulation Technology) Only applies to white ink.